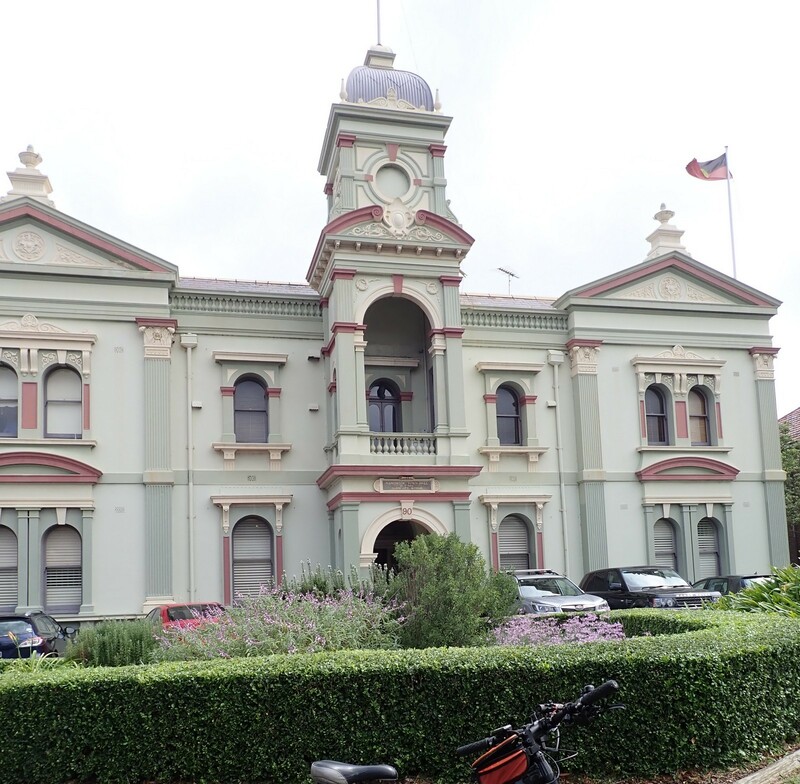 Given that I live near Randwick, I decided to be impartial and came up with the Town Hall at Randwick as a random starting point and Marrickville Town hall as a finishing point. This trail starts on roads and ends on roads and follows “well rolled” cycle paths for most of the trip in-between. I made one exception to my usual safe ways and that was to take on Dacey Avenue rather than ride around through Moore Park. This saved a number of minutes. So the route I took featured riding on the south side of Centennial Park, heading through Zetand and down the Bourke St Cycleway and then crossing to Sydney Park. For the streets of Marrickville, I skipped Enmore Park but soon got back to my usual path through the roads of Marrickville. Then I joined the procession of cars to head up Marrickville Rd. Overview: I am writing a series of articles called Beat the Bus in Sydney. The purpose of these articles is to come up with popular ride where you can easily beat public transport whilst not riding too fast. To qualify, a ride needs to be going to a place with a decent sized working population, the roads need to be shared path or at least a decent enough well marked council road. Average speed must be under 20km per hour. And the whole journey needs to be under 45 minutes. Anyone can do this in any city, just study your maps, do a few practice rides on Sunday morning, get fit and ride some or all the way to work if you can find decent enough roads. If you can’t find a way, can you ride to a station or take your bike part of the way in a car. Give it a go. Downside for the trip was Button Pressing. I seemed to have to press a button to cross a road a few too many times. They are never near at hand when you approach a road, quite annoying to drag your bike around to the correct location. And don’t get me started on Bike Lights, lets make pedestrian crossing lights called Active transport lights and forget the expensive special bike lights and rules that no one understands.